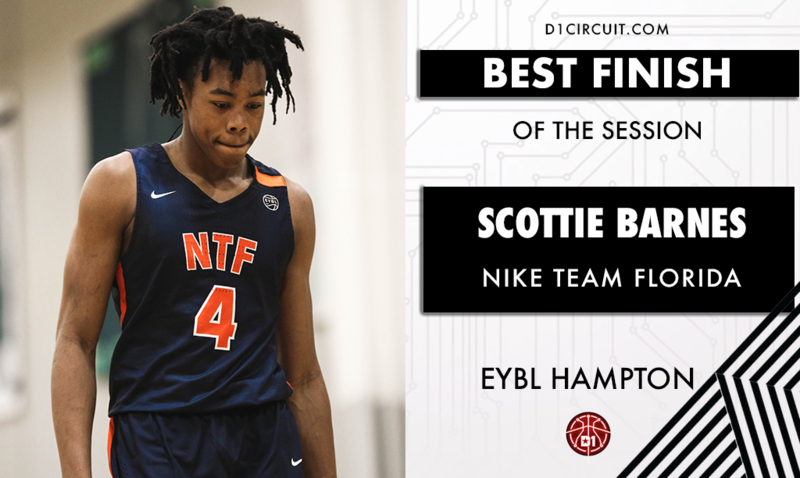 Nike Team Florida entered their finale against Boo Williams in a must-win situation, and Scott Barnes delivered in a big way. The 6-foot-8 sophomore put up 21 PTS (9-20 FG), 15 REB, 5 AST, 2 STL, 4 BLK in the win over Boo, but he saved his best for last. With seconds remaining, Barnes drove the left alley and missed on a contested shot. He gathered his own miss, and put home the game-winner as the clock expired.